While some MMA fans think that Brock Lesnar is not an ideal TUF 13 coach, Dana White finds otherwise. And Fighting Insider is one of the minority that goes with the UFC President. Here's why. Just seconds after Dana White informed the public that Junior Dos Santos and Brock Lesnar will coach the upcoming TUF 13, fans furiously showed their uproar. Though majority of MMA fans think that Brock Lesnar can’t deliver as a coach, there are still people who believes that the UFC star will not sink the ship. 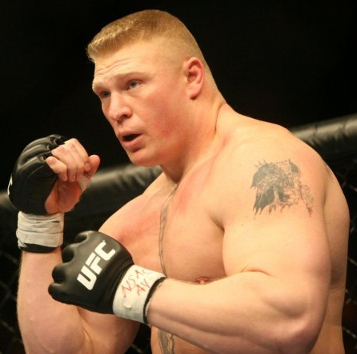 Here are some reasons why Brock Lesnar as TUF coach is not so bad of an idea at all. 1. Cutting a Solid Promo: Though Paul Heyman did most of the talking during his WWE days, a UFC fighter can’t spend a couple of years in MMA without learning how to hold himself on the microphone. 2. Drawing Power: Brock Lesnar is one of the notable UFC fighters that you either love or hate. No matter how you slice it, fans will always have an opinion about the heavyweight fighter. 3. Marty Morgan: Think about this; Tito Ortiz got Dean Lister, Rashad Evans has Greg Jackson, GSP brought in that French guy, and Brock Lesnar have Marty Morgan as his head coach. What do these coaches have in common? Their teams won The Ultimate Fighter. 4. Dedication: Ask those who’ve seen the UFC Primetime and All Access shows centered on Brock Lesnar, the UFC gladiator is so focused on becoming the best at his craft that he trains non-stop. 5. Wrestling: MMA fans know so well that Brock Lesnar’s bread and butter is his wrestling ability. With his wrestling abilities, he can teach these young guys how to effectively use takedown offenses.